Low-Carb Marshmallow Fluff Frosting - Low-Carb, So Simple! | Low-Carb, So Simple! Marshmallow fluff is not the easiest thing to convert into low-carb. Commercial sugar-laden versions have high-fructose corn syrup as main ingredient — which is really bad, bad, bad. And sticky. With low-carb ingredients you cannot get that sticky result, at least not easily. 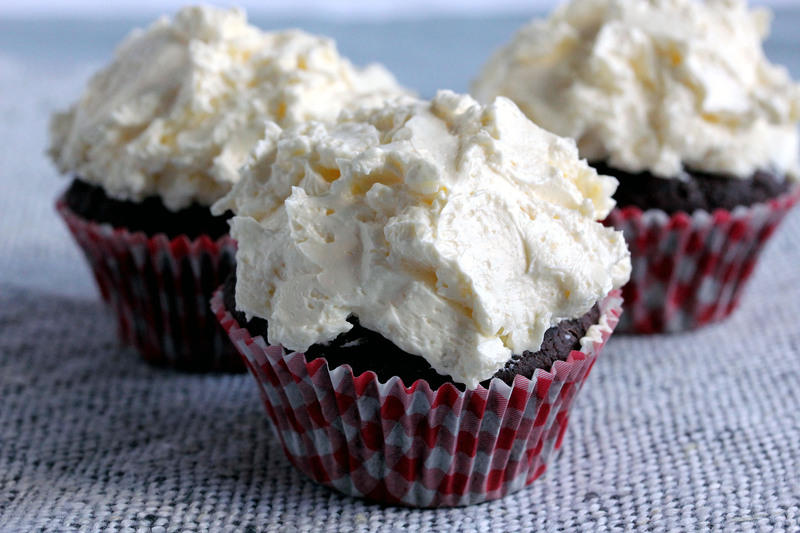 But since I’m not in favor of stickiness, I created this yummy airy, fluffy frosting as healthier low-carb alternative to fill and frost your baked goods. Combine 2 oz (50 g) butter, erythritol, vanilla stevia and gelatin in a saucepan. In a deep and narrow bowl, beat the egg whites until stiff peaks form. Set aside. Slowly start heating the butter mixture in the saucepan over a medium-low heat constantly mixing along the bottom. Heat until the butter has melted and erythritol and gelatin are dissolved. The mixture can bubble a bit, but don’t let the butter get any color. Slowly drizzle the hot butter mixture into the egg whites while constantly beating with an electric mixer. Be careful not to burn yourself, the mixture is really hot! Refrigerate approximately for an hour until the frosting has cooled down to room temperature but not completely solidified. Beat the rest of the butter (3.3 oz = 100 g) into the frosting. Beat at least 3 minutes to get airy and fluffy result. Store refrigerated, but take an hour or two before using to room temperature. The frosting gets hard in the fridge. One tablespoon frosting weighs approximately 1/2 oz (14 g) . Melt the butter and gelatin mixture slowly so that erythritol and gelatin dissolve totally. Don’t let the butter get any brownish color, otherwise the frosting will taste bad and burnt. Once again, the hot butter mixture is really hot, don’t burn yourself while pouring it into the beaten egg whites. It’s good to drizzle the hot butter into the egg whites very slowly so that the peaks keep stiff. When you chill the egg white mixture, don’t let it chill and solidify completely. One hour chilling was working best for me. Then the mixture was a bit cooler than room temperature. When you beat the butter into the egg whites after chilling, the frosting might look curdled at first. Don’t care, just continue beating. The butter will incorporate into the egg whites after some vigorous beating. This recipe uses raw egg whites. I cannot say how hot the egg whites get when pouring the hot butter mixture into them, so use pasteurized egg whites if you want to get things really safe. Another option is to use egg white powder, which is pasteurized. Make the egg white replacement according to the instructions and whip until stiff peaks form. I tried this frosting with egg white powder too. When beating, I couldn’t get stiff peaks, the egg whites stayed quite soft. However, the ready frosting was as good as with raw egg whites. 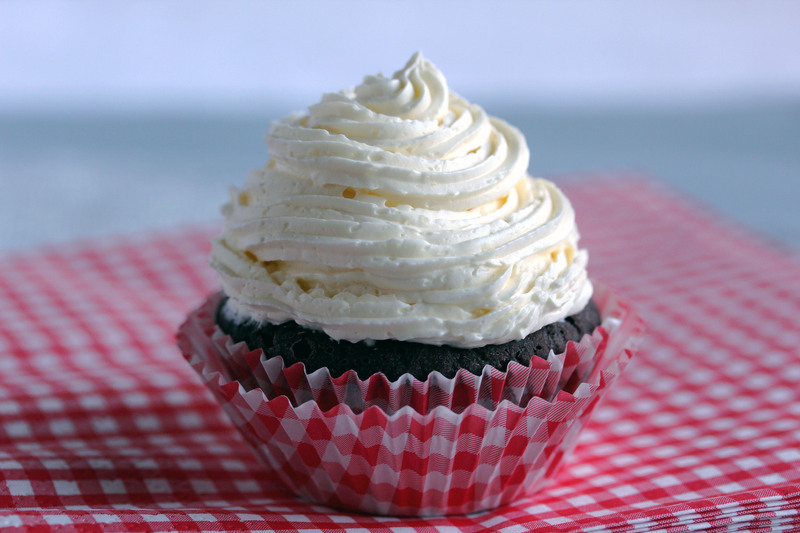 Nevertheless, this is a simple frosting to make, and sure delicious! From the Internet you find nice recipes for low-carb marshmallows. There is also a recipe for low-carb marshmallows in one of my all-time favorite cookbooks: The Low-Carb Baking and Dessert Cookbook . I tried that recipe once, or was it twice, and the result was quite okay to satisfy my craving for marshmallows. However, the dessert was far from the commercial versions. Well, for low-carb marshmallows you cannot use that sticky high-fructose corn syrup, or other high-carb syrups. 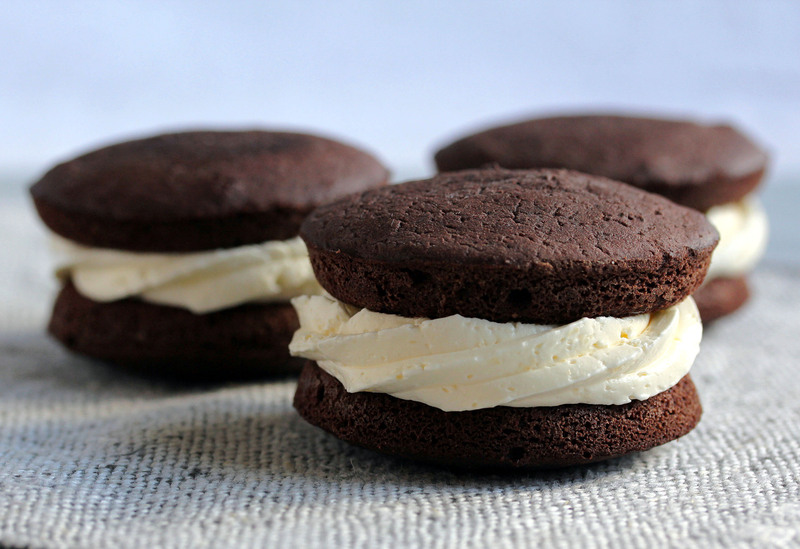 I have lately been developing a recipe for low-carb whoopie pies. I actually have some books full of nice recipes for whoopie pies. Not low-carb, though. 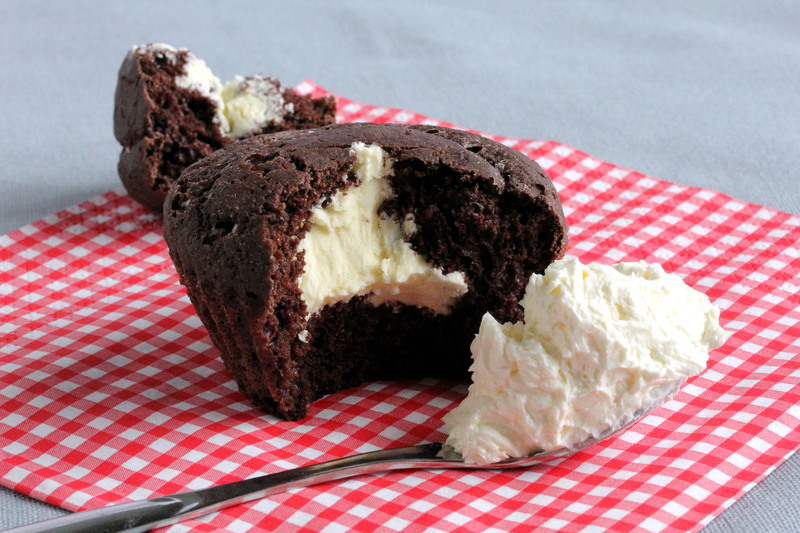 The traditional whoopie pies have filling made from marshmallow fluff and some confectioner’s sugar and butter combined with it. I’ve never seen a low-carb version of marshmallow fluff, so I had to develop one. I started with the usual ingredients for low-carb marshmallows: egg whites, gelatin and sweetener. Since the traditional whoopie pie filling recipes contain butter or shortening, I also added butter to my ingredients list. First I let the gelatin soak in water, which is the usual way. Then I wondered what would happen if I melted part of the butter and let the gelatin dissolve there. That would also solve the issue with erythritol and that darned gritty mouthfeel what it easily has when beaten into frosting or other non-heated stuff. I was surprised how well it worked. The erythritol dissolved nicely into the hot butter, so did the gelatin. I just slowly drizzled the hot butter mixture into the beaten egg whites like when making meringue. Then I put the bowl to the fridge for chilling and checked every now and then how it looked. In my later experiments I heated the butter too fast and then the gelatin didn’t dissolve, it formed tiny lumps. I think I did close to ten batches of different experiments before I was satisfied. And then some repetitions of this recipe to check that everything was in order. This frosting works well for all kinds of muffins and cupcakes. You can also frost a sheet cake with it. Use it also as filling. It’s heavenly for example with these Chocolate Mini Muffins. 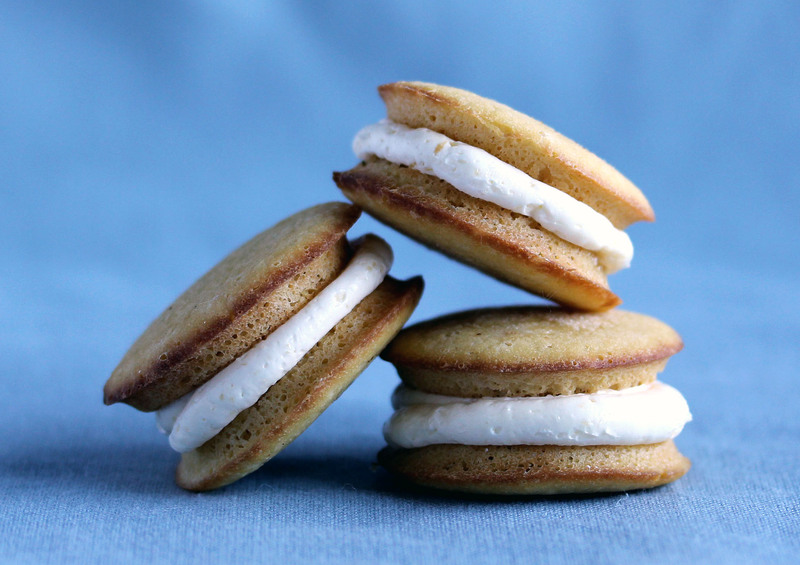 Or, use the marshmallow fluff frosting in a traditional way and make your own low-carb whoopie pies by filling coconut flour or almond flour-based small cakes or chewy cookies with it. For dairy-free version you can use for example Spectrum organic vegetable shortening. I personally prefer the buttery flavor in this frosting, so that’s why I use butter. I haven’t tried how for example Earth Balance Natural Buttery Spread would work here. It’s supposed to have quite a buttery taste. You can add some flavorings or flavored stevia instead of vanilla stevia to get some variety. And, don’t throw away the egg yolks. Use them as sauce or soup thickener, or use them for example for egg-nog. Looks and sounds delicious ! Can’t wait to try it! I have several sugar-laden recipes that I’m transforming into keto recipes. One of them is a fudge that calls for marshmallow fluff. So, do you think this recipe would work to replace the marshmallow fluff in a fudge? I came across this recipe in my attempt to recreate a low carb banana fudge recipe I found, I am dissecting each ingredient and one called for was marshmallow fluff added to condensed milk and banana cream jello pudding, of course I am going to LC/SF each ingredient but wondered if you think this mixture could be used as the fluff. I found your recipe while looking for a low carb marshmallow cream to use in my buttercream frosting (I find it makes buttercream SO delicious). Here, you’ve done the work for me! I don’t usually follow recipes. Instead, I reference a bunch to make my own, but I followed yours to a T. Thank you for doing the hard work for me 🙂 I also love that you explained how the recipe came to be! I’ve never been to your site before, but I will definitely use it in the future. Thank you again! Hi Christina, thank you for your kind words! So great to hear you liked the recipe! I happened across this recipe today while looking for a sugar free marshmallow creme. The egg mixture before the final addition of butter was exactly what I was looking for! Since I had to try the full recipe – all the way to frosting – I split my batch in half and added (half) the butter. Unfortunately, my frosting curdled too, but it still tastes yummy and I will use it to fill some cupcakes. But I am thrilled to have a marshmallowy creme to put on my (sugar free) ice cream and hot chocolate 🙂 Thank you so much for sharing your experimentations! Can I use Swerve granular for the erythritol crystals?? Hi, yes, that should work (though I’m not sure how they would dissolve), however nowadays I would use powdered sweetener, that dissolves better and won’t feel gritty. Is this recipe good for decorating cakes? Hi Audrey, yes, I’ve used it for that, too. Works well. Can egg whites in a carton work? How much would be used in the recipe? I think they would work as long as you can beat them until stiff peaks form. I’ve tried this also with egg white powder (so mixture of egg white powder + water) and that worked well. Hi – looks like a lovely recipe, thank you! Any way of swapping out the gelatine to make it vegetarian??! Hi Linda, thanks! I haven’t tried out vegetarian version of this. You can try agar-agar (don’t use carrageenan as it’s unhealthy), however I cannot say if the result is successful. If you try out, please let me know how it turned out! Would I be able to substitute the erythritol with powder stevia? I’m on a strict diet that only allows stevia and xythol (or however you spell that). And if so, how much should I use? Hi Stephanie, yes, I guess powdered stevia should work and it would be actually better in that sense that it dissolves better than erythritol crystals. However, I haven’t tried out powdered stevia because I haven’t found a proper brand which wouldn’t have any bitter aftertaste. If you make the frosting, just pay attention that you drizzle slowly enough the hot butter mixture into the egg whites and beat vigorously at the same time. Another important thing is to refrigerate the frosting before adding the rest of the butter so that the frosting is approximately at room temperature, so not too warm and not too cold, and the frosting hasn’t completely set, just a little bit. One hour was ideal time in my fridge. Hope you succeed and you like the result! Hi, I really love your recipes!. Do you know anyone who has a low carb sugar free version of a candied yams with marshmallows recipe?. I haven’t found one. Hi Kelly! It’s so great to hear that you like my recipes! Unfortunately I haven’t seen any low-carb versions of candied yams with marshmallows. I’ll let you know immediately if I ever see one. Try oooflavors, the have come up with a mock sweet potato recipe. (i know this is an old post, maybe the info will be good for someone ;). Mine curdled too! I wonder what it could have been… Oh well. At the first stage ( before adding the butter) it tasted delicious! I’m so sorry to hear that! And I have tested the recipe sooo many times… Could it be that the gelatin mixture was still too warm before adding the butter? Or the butter was too warm? I must figure out if there is a way to rescue the curdled frosting. Again, I’m very sorry your frosting curdled. I couldn’t get my butter to incorporate into my egg white mixture. I’m not sure why. The butter was room temperature. Any ideas what could have happened? Its like a greasy curdled mess. Hi, I’m so sorry to hear that the frosting curdled. The first thing which comes into my mind is, that the chilled butter and egg white mixture could have been too cold or too warm. After approximately one hour chilling it should be still more or less at room temperature or lukewarm. If it’s too cold, the frosting curdles when the butter is added to it. (This happened to me in my first experiments.) If too warm, the butter melts and the frosting curdles. 3) If you have already curdled frosting where the butter doesn’t incorporate into the butter and egg white mixture after a couple of minutes of vigorous beating, you can try to fix the curdling with xanthan. Add one pinch xanthan to the curdled frosting and beat vigorously at maximum speed. This works well for cream cheese frosting, and sometimes for the marshmallow fluff frosting as well. Again, I’m sorry about the curdled frosting. Could you use truvia instead of Erythritol? Hi, I would expect Truvia can also be used. I suppose 1/4 cup (60 ml) Truvia makes too sweet frosting since it has stevia in addition to erythritol. I wonder if the best result comes, if you omit vanilla stevia and use 1/4 cup Truvia. For vanilla flavor you could use vanilla extract. I haven’t tried this out, this is just my wild guess. Hi – is there a reason you pour the near-boiling hot butter directly into the beaten egg whites? You mention keeping the peaks stiff, but I inferred that’s why you pour it slowly, not why you do it in this order. Thanks for any insight you might have, and also for some tasty, yet healthy low carb recipes. Hi Marge and thanks for your question. Yes, there are few reasons why the hot butter is poured into the beaten egg whites. First of all, the egg whites are beaten first to give the maximum volume to the frosting. Secondly, the butter mixture is poured while it’s hot to prevent gelatin forming lumps or erythritol crystallizing. The hot butter also gives some shine to the frosting when poured into the beaten egg whites. Hope this answers to your question. the frosting looks good. i’d like to try it. Thanks, Dina! Hope you like it.